Athens takes its name after the goddess of wisdom Ahtenea, who is celebrated by the magnificent Acropolis, which overlooks the modern, cosmopolitan city that Athens is today. 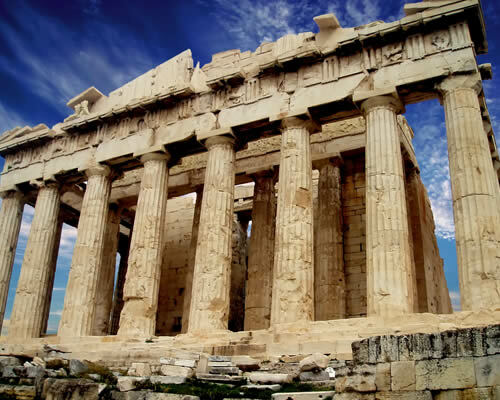 Athens is one of the world’s oldest cities and it is the birthplace of western philosophy, democracy and theater. Up to this date, the Greek capital remains a major worldwide centre of culture, with its historic centre, iconic classical sites and museums filled with ancient Greece artefacts. The Acropolis, crowned by the emblematic Parthenon, has been proclaimed a UNESCO World Heritage Site. Cars were banned from the historic centre, which has become the most striking pedestrian promenade in Europe. In this archeological Park, visitors will witness the contrasting nature of this ancient metropolis being able to visit the New Acropolis Museum, a high-tech modern structure with light and airy exhibition spaces as well as the National Archaeological Museum, the largest archeological museum in Greece built in the 19th century and devoted to ancient Greek art. The Acropolis and Mount Lycavittos, the city’s highest points, are used as orientation since they are visible from most places in the Plaka, the old historical neighborhood. The Plaka is under the Acropolis and stretches almost to Syntagm, home of to the Greek Parliament. For a taste of the hedonistic Athenian lifestyle one should visit Monastiraki, where locals go to eat, drink and mingle. The night time belongs to Psirri, a vibrant neighbourhood known for its bars, live music venues and exciting nightclubs. Southeast of the city centre, a glorious stretch of coast affords dreamy views over the glistening blue Aegean Sea. Surely few European capitals can claim sandy beaches and clean water for swimming within such easy access. Athens therefore offers the best of both worlds – a fantastic city break as well as a lazy beach holiday. Athenians are surprisingly friendly and outgoing and their enthusiasm for life’s pleasurable pursuits is so infectious that even the stiffest traveler will take time out for endless coffees and evening strolls, dine out until late and enjoy the city’s nightlife, long after the rest of Europe has gone to bed.